I like to think of balance as the common goal, like the perfect exposure of a waistline or pleats or a hem that was modified just for you. It's our call of action as styling, breathing beings. We explore parts of ourselves, (in this case, through designers) and we accept what applies and furthermore dress it up, right? or so we should. On this topic of balance, a healthy, lucrative life and style depend on it.. Think of these little knacks next time you’re getting dressed and need to bring it in. Call me when you do! For making relaxed top styles like tees or sweaters (Fall is a ringing!) look like business: find your tuck. Doing this will instantly create a elegant effortless effect to your outfit direction. Whether it is on your side or mid-section, explore a flounce option that can give your shape the proportion you fancy. Particularly, I like to play, as you can tell, and on days where i'm going for the bolder individual pieces, I do a side tuck because the asymmetrical illusion tickles me deep but on opportunities where i'm feeling more casual, tucking mid way is the way to go. For sporting a top and bottom that are far from fit: belt it. Wear a belt to define your shape. Don’t be intimidated with the extra fabric! All is not lost! Place that baby where it fits and watch your shape come to life in an even more dramatic form. Play with your shape, clothing gives us the freedom to contoured it in endless ways, embrace it. Medium width options in black or brown will be coming in and out of your wardrobe regularly (we’ll touch on that relationship later) and become your best companion. 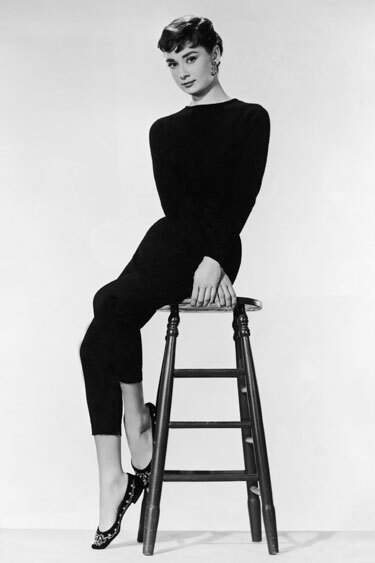 Breaking the body up into two sections will make you look proportioned and chic at the very least, a la Hepburn. Throw on your favorite platforms or pumps to elongate this relaxed version of you; a little height never hurt anybody, sort of. Skirt or dress you love but the length does you no justice? KNOT IT. Make a knot in your place of choice (side, middle or back) and bring it up to a length that suits you. Personalizing hem lengths can take you from matronly to trendy, real quick. The cinching effect will create the hourglass effect goddess’s aspired to. Knotting a skirt or even a blouse is a playful way of exposing that something you prefer about yourself in a tasteful and effortless form. Lastly: accessorize it. They can make for perfect equality of any equation. Choosing them with care can pull together every item of your formula beautifully. Using like hardwares together like gold, rose gold and silver will be the seal for your execution. Going for more delicate pieces allow you to pack on the options without being overwhelming, this applies to more casual looks but if your looking to leave a statement focus all your efforts on one metal item like a choker or a cuff. Not only will this bring the perception of the onlooker to your outfit building technique but it will also compliment and enhance any details of your ensemble. Like any aspect in our everyday lives, wearing exactly what we want in a way that applies directly to our needs, kinks and preferences will make the moment we walk out the door into the world, a mere solidification of all that we are and we’re meant to be. In balance.